For those of us that aren’t brave enough to be riding our bicycles in those cold, rainy months, we have to find a solution to store them safely and securely until they’re needed again. You might think that keeping your bike indoors is the safest option, which it is, although you can still encounter problems such as space. The garage is a great place to store your bicycle as it is out of the house, meaning you won’t be tripping over it every time you go to grab a cup of tea. If you don’t have access to a garage then you can always store your bicycle in the garden. This can either be in a garden shed or a bike store. These can be fairly expensive but are perfectly designed to keep your bike safe during the winter months. Living in a small flat or house can make it difficult to find space to store your bike. If your flat has a balcony, you can always store it out there during the winter, as long as you make sure that it is well covered. Another option is to store your bike in a Self Storage Unit. These aren’t as expensive as you would think and are a great way to store any of your belongings, keeping them out of the way yet safe and secure. Keeping your bike out of the cold, sometimes harsh environments that winter can bring isn’t enough to keep it in perfect condition. If you make sure that your bike is in good condition when it goes into storage, then it should be in good condition when you take it out of storage. Before putting your bike into storage, make sure that it is 100% dry to avoid your bike rusting. If your bike is made from steel, oil and repaint any exposed metal before putting into storage. You should also add a good layer of car wax and buff it in to keep the steel in good condition. If you have a carbon bike then polishing it with lemon fresh wood furniture polish should keep it in tip-top condition. If you want to keep your saddle looking and feeling good, polish it with some mink oil or other leather conditioners. Storing your bike in an unheated environment? If so it is a good idea to lubricate the cables and chain of your bike as well as keeping your tyres pumped up to avoid any damage to them during the storage period. Your tyres will deflate over time but this will only be slightly and will cause less damage than if they were already deflated. You don’t want to have too much weight on your tyres, which is why it can be good practise to either hang your bike up or turn it upside down. There are a number of different racks you can purchase to store your bike. They can be simple racks or more creative looking ones, choose whatever suits you best. Sunlight can isn’t ideal for bikes as it can dry and split the side walls of the tyres, this is another example of why it is best to store your bike in places like storage units where there is no sunlight coming through. It is important to take care of your bike even when you aren’t using it. 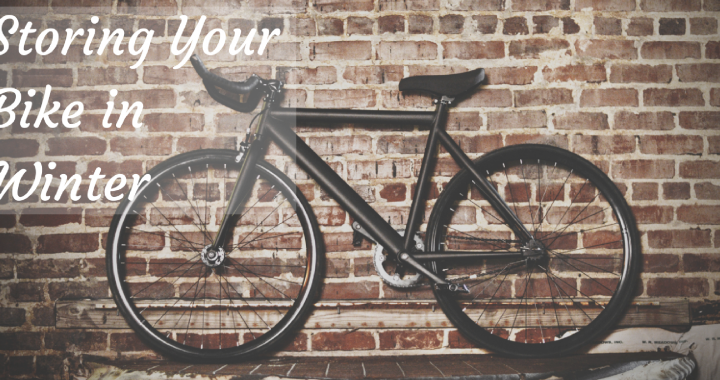 You don’t want to have to buy a brand new bike, or even make several repairs to it the next time you bring it out for a spin so putting into storage can help prevent that inconvenience.